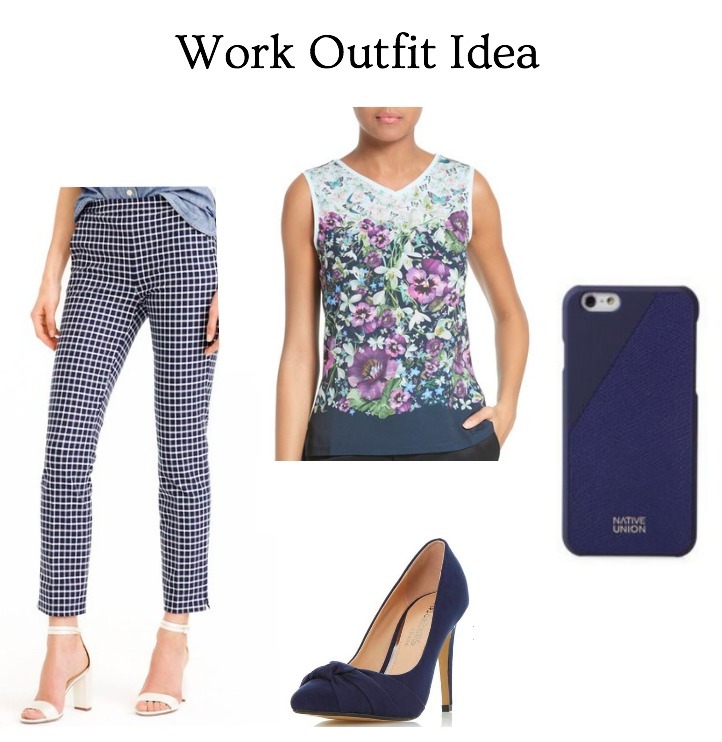 I love print mixing – and this floral top and windowpane print pants are a match made in heaven. I love the navy and mint colors on the top especially. Because this print mixing is bold, I wanted to keep the rest of the outfit simple, so I went with classic navy suede pumps and a navy phone case. I am always on the hunt for new phone cases – they are a great way to accessorize your outfit. I am all kinds of in love with this dress. The floral, the cut, the black piping, the bow. It is perfection. I really like that this dress can easily transition from winter into spring. Right now, as you can see, I would wear it with flat over the knee boots and a long black cardigan. 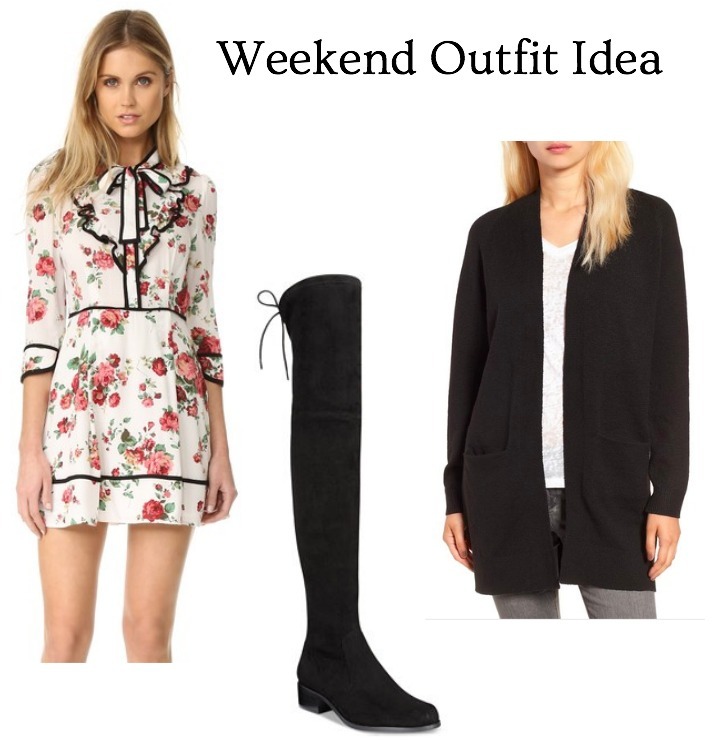 "Over the Knee Boots – Work Day Style"
Ahh that weekend outfit is perfection! I'm totally going to buy that dress. It's love!! I can SO see you in that dress! You would look amazing in it with some sparkly flats and a pretty hair band. So you!